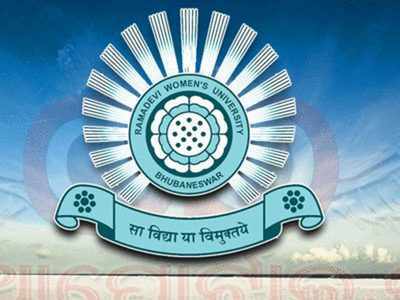 Ramadevi Women’s University on Monday announced results of three year degree (Plus III) examinations. Zoology student Sthitaprajna Nath Sharma of SB Women’s (degree) College at Cuttack was declared as the best graduate of the university for 2018. The university has 46 affiliated women’s colleges after it became university in 2015. A total of 7,451 students from Arts, Science and Commerce streams had appeared for the final year degree examinations. Out of these, 6,049 of them successfully passed the examinations. The overall pass percentage was 81.29 per cent. In Arts stream, 5174 of the total 6444 enrolled students of 15 different subjects passed the examinations. The pass percentage was 80.40 per cent. Similarly, 745 of the total 845 science students of seven subjects passed the examinations with average percentage of 88.16. In commerce stream, 130 of 162 students from different colleges passed the examinations with an average percentage of 80.74. Aliva Aparajita Satapathy of SB Women’s College at Cuttack became the topper of Commerce. Arts stream has 15 subject toppers and science has six. Most of the toppers belong to SB Women’s College at Cuttack with 17 toppers from the three streams. Kamala Nehru Women’s Degree College, Bhubaneswar, has three toppers followed by IG Women’s College Cuttack (Philosophy) and NNM Degree Mahavidyalay, Charichak (History topper), said Ajit Kar, examination controller of the university.